Premieres Tuesday, January 13th at 7p on WVIA-TV. Encore Broadcasts Thursday, Jan 15 at 7p, Sunday, Jan 18th at 5p, Tuesday, Jan 27th at 7p, Sunday Feb 1st at 5p and 11p. Working Class: 100 Years of Hands-On Education is a one-hour documentary film that chronicles the rich, challenging history of Pennsylvania College of Technology and highlights its contribution to the American workforce throughout the Great Depression, wars, social upheaval and the transition from the Industrial Era to the Information Age. From its humble inception as a small vocational-technical shop inside Williamsport High School in 1914 to its standing today as a special mission affiliate of The Pennsylvania State University, Penn College and its predecessor institutions (Williamsport Area Community College and Williamsport Technical Institute) have continually met workforce demands, thanks to inspired leadership and an enduring commitment to hands-on education. Interviews with former college leaders and students, along with rare archival footage, detail the resiliency of the Williamsport, Pennsylvania institution. No matter the challenge, the college has celebrated the dignity of work by embracing the “working class,” defined not only as a group contributing to the workforce but also a classroom engaging students in relevant, hands-on activities. Comments from national experts reveal how that history can serve as a template for combating the skills gap hindering the labor market of today and tomorrow. 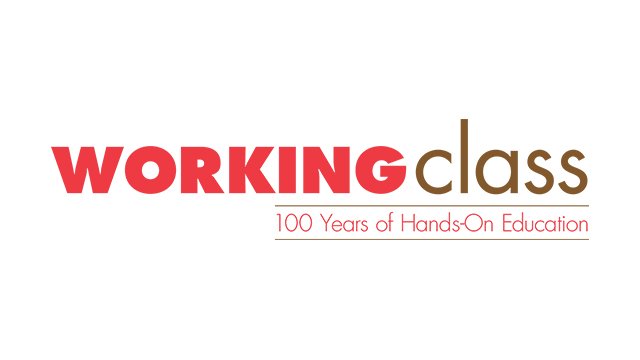 The documentary Working Class: 100 Years of Hands-On Education is a production of Pennsylvania College of Technology and WVIA Public Media.